As winter draws to an end and springtime brings warmer weather, getting into that new home you have your eye on becomes more and more appealing. Springtime provides you the best opportunity to save both money and stress when it comes to moving into a new home. Below are 5 ways to take advantage of moving in spring. Getting a head start on reserving moving services during the spring months will allow you to save more money and stress with your move. Summer is the peak business season for moving companies. This means that moving companies can charge you higher rates, and reservation times for you to choose from will be much more limited. Jump on the opportunity to move in spring, and you will benefit from more consumer power. Moving companies reduce their rates in the non-summer months to increase their business, giving you more bang for your buck. You can also use this opportunity to reserve your move at a time that works best for you. The season that you choose to put your home up for sale can dictate the actual sale price of your home, and the amount of stress you have to deal with in selling it. The summer months are the busiest months for real estate, but the competition from other home sellers can cause the price negotiation to be stressful. Homebuyers tend to be more fatigued in the fall and winter seasons after searching for their dream home all spring and summer. Skip this stress and take advantage of the fresh and exciting appeal of springtime. Warmer weather, green grass, fresh blooms and the spring scents make houses more appealing to homebuyers. Being on the front-end of the home buying season also provides home sellers much more leverage when it comes to price negotiation. These simple steps will help reduce unnecessary stress and place more money in your bank account. Use that saved money to get the most out of your new home! Our real estate specialists are here to help you with this step. Sign up at HomesforHeroes.com to speak with a specialist without any obligation. Check out 10 Tips to Help You Sell Your Home for additional advice on how to sell your home faster. Why put yourself through the stress of toting around unwanted stuff tucked away that you never use any more. Do some spring cleaning to uncover all the unwanted stuff you have stored. Gather these unwanted items and make some extra cash with a yard sale. 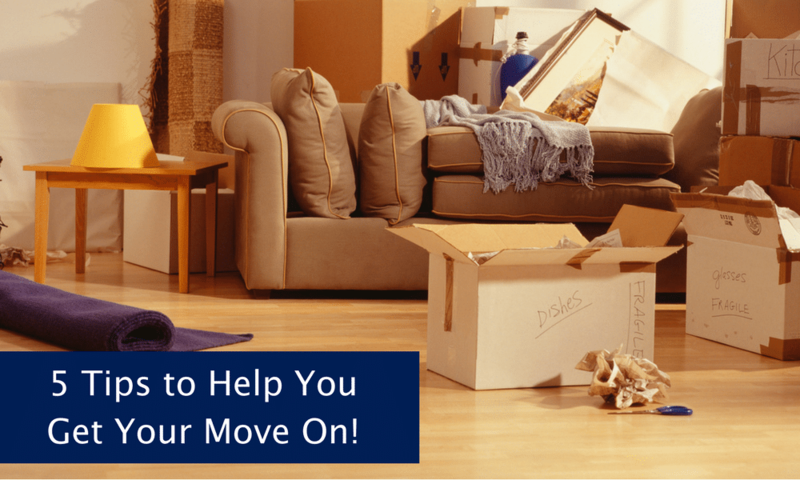 You have now just eliminated extra items that you would’ve had to pack and move to your new home. Take the extra money you made from your yard sale and pay for your moving costs! When it comes to making the biggest purchasing decision of your life, like everyone else, you want to be the only person that exists to the professionals you have hired to help you. During the summer months, real estate professionals, moving companies, home inspectors, or any other real estate-related professional are going to have professional obligations to significantly more clients. Firefighters, law enforcement, EMS, military (active, reserve and veterans), healthcare professionals and teachers can sign up at HomesforHeroes.com to speak with one of our real estate specialists and save significant money. Let our specialists give you the attention you deserve and answer your questions without any obligation. No matter the time of year that you decide to move, there is no way around the amount of work that you will have to put into it. Packing and unpacking your belongings, moving furniture and cleaning two homes are exhausting tasks. The heat from the intense summer sun can make moving feel twice as hard and cause recovery time to double. Summer vacations, kids out of school and sunny beaches can cause soliciting help from friends and family to be more difficult. To overcome these moving hurdles, use the spring season to your advantage. Host a spring moving party to get the help you need, without spending money on professional movers. Providing food and drinks for family and friends will cost much less than the amount you will spend on a professional mover. Your family and friends will appreciate the cooler weather and the fact that your move is not interrupting their summer plans. Using these simple ideas to move in spring can save you money, stress and make this exciting transition more enjoyable for you. Our Homes for Heroes specialists are here to assist you along the way and provide you significant savings. Sign up at HomesforHeroes.com or below to speak with one of our specialists and get your questions answered without any obligation. If you know a hero that could benefit from this article, please share with them below.